A word from the Installations Plus, Inc. founder and president. As President of Installations Plus, Inc. my philosophy has always been to give my clients superior service from start to finish. We focus on doing an outstanding job for a competitive price. Our clients range from top designers, builders, architects to homeowners in downtown and metro Boston, the Cape and surrounding areas. Project scopes range from complex tile and stone slab installations on high profile projects to residential kitchen backsplashes. Many of our jobs are challenging due to time constraints, locations and materials. We embrace the newest design and installation techniques ranging from accessible showers, linear drains, heated floors and custom made shower seats. In addition to having the best installation experts, our open communication with clients is the key element that separates us from other tile installation companies. We are staffed to support all phases of a project, from detailed estimates to project management and communication to ensure our clients satisfaction. 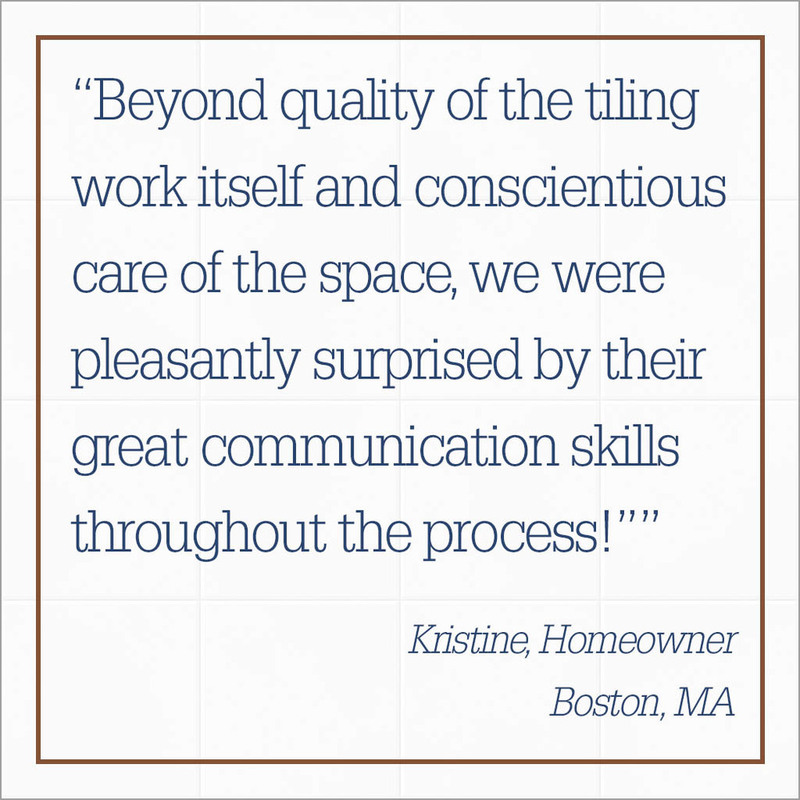 We have strong relationships with many of the best-known tile vendors and stone fabrication shops in the Boston area. Collaboration with all parties means that we can manage all of the tile details from start to finish. I have been in the tile industry 36 plus years and I am still passionate about each project we do. I am grateful to all of our clients and look forward to many more years of working with you. One of the best teams in the installations business. In spite of all the great work we do on job sites, we're still proudest of our people at Installations Plus, Inc.! 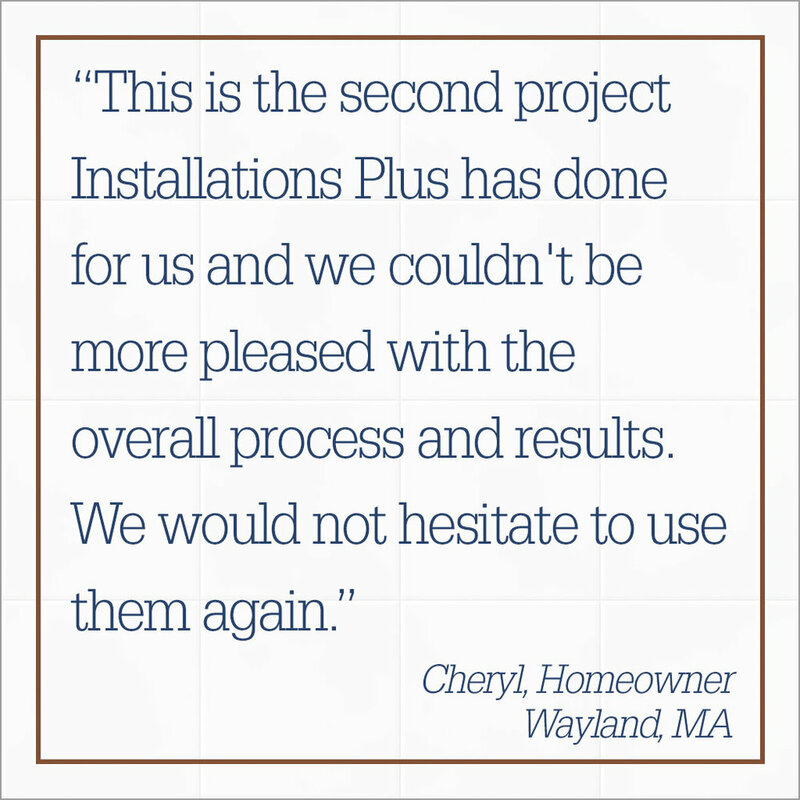 One of the reasons Installations Plus, Inc. has satisfied hundreds of clients over the decades is one simple fact: we're a people business first. We believe in positive attitudes and solid business relationships between great people. Get to know our team. 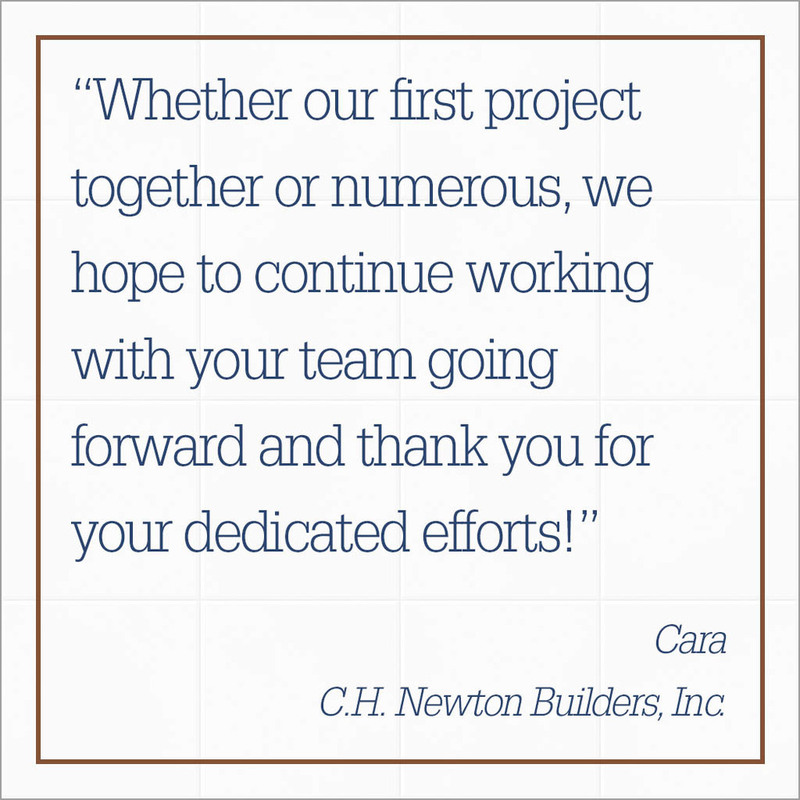 We're looking forward to working with you on your next job!